Should You Invest in Bitcoin Yes or No? So Bitcoin – yes or no? 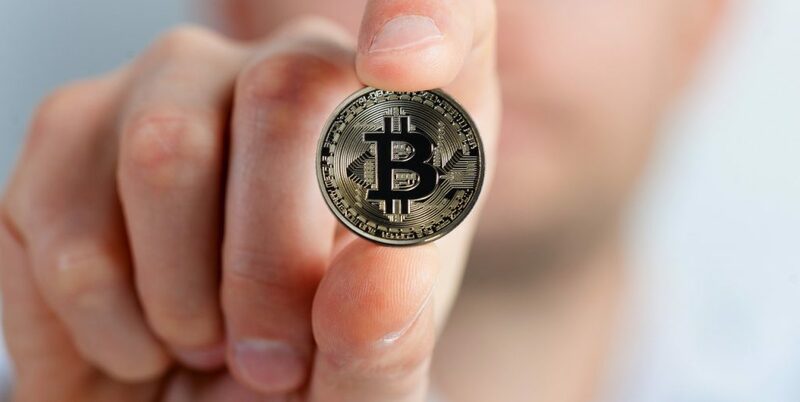 If you’ve watched any kind of financial news lately, you’ve undoubtedly heard about the amazing rise in the price of Bitcoin – the world’s most popular cryptocurrency. This has started to get people’s attention. They wonder how in the world could this new form of digital money be sitting at such a high price – and climbing. People who got in early (like when Bitcoin was $5, $10, even $100) are now reaping the benefits of being early adopters. Fortunes have been made in just a couple of years. And with the more widespread adoption of the cryptocurrency, the future looks bright for Bitcoin to rise even more. However, there are risks you should also know about. This post will go over a few basic things you should know before buying. Note that this post is for informational purposes only and not meant to substitute for professional financial advice. Bitcoin is digital currency. It’s online money. Like other currencies, you can exchange it for other things like dollars or items or services. Unlike other forms of money, however, it is decentralized, meaning there isn’t any one central bank, country or government in charge of it. And that means it’s not as susceptible to government or central bank mismanagement. Because it’s decentralized, this also means that you can send someone a payment in Bitcoin on the other side of the world in seconds. You can send it person to person – without having to go through a bank (and pay the extra fees). This alone makes Bitcoin very popular. Instead of waiting for a wire transfer which can take days, you can send your payment in seconds or minutes. There are only 21 million Bitcoins that will ever be mined into existence. This limits the amount of Bitcoin that can ever be produced. This is like saying a government cannot print money because there is a limited supply of bills – and they have agreed not to print any more. When there is a limited supply of the currency, your purchasing power is preserved, and the currency is immune to runaway inflation. There’s no real possibility of hyperinflation or another Weimar Germany situation happening. This limited supply has also helped to contribute to the rise in the price of Bitcoin. People don’t want a currency that can be printed – or inflated – into infinity at the whim of greedy bankers. If you’re like most people, you may think Bitcoin is anonymous. But actually, it’s not anonymous – it’s more private. It’s transparent in that every transaction ever made can be seen on the Blockchain – which is the public Bitcoin ledger. But your name and identifying details behind the transaction are not seen. Each transaction is linked to an address – a string of text and characters. So while people might see your public address – there is no way to link that address to you. This privacy feature is very attractive to everyone – not just criminals (unless of course you enjoy being spied on by your bank and being told what you can and cannot do with your own money). Many businesses have to take Visa or Mastercard these days to stay competitive in the marketplace. However, these cards take some rather hefty fees out of each sale. But a merchant who accepts Bitcoin as payment doesn’t pay these extra fees – so it gives them more money for their bottom line. So those are some of the main benefits of Bitcoins. What about the drawbacks? Bitcoin is well-known for rising slowly over months – and then falling 20 – 50% over a couple of days. These kinds of crazy roller-coaster rides in price are enough to make even the most seasoned investor feel nauseous. The price of Bitcoin is always changing every second of the day. And all it takes it some bad news – like the news of an exchange hack – to send the price tumbling down. So basically you shouldn’t be thinking of BTC as a stable holder for your life savings. It’s not. You could lose half the value of your money – or more within a couple of days. And there are a lot of unknowns out there that can affect the price. The golden rule here is this: don’t put any money into Bitcoin that you can’t afford to lose. And for heaven’s sake, don’t EVER go into debt to buy Bitcoin. Bitcoin is starting to run into serious issues with slower transaction speeds and higher transaction fees. Other cryptocurrencies like Litecoin and Dash are faster and cheaper. The Bitcoin miners are working on the problem. However, until these issues are resolved, you can assume the price to be extremely volatile. While you can certainly trade in the Bitcoin market and try to make some funds on the swings and dips, just be aware that this is not a regulated market. Unlike a bank account, there is no insurance to bail you out should something happen, and your money disappears. While Bitcoin can’t be hacked, the exchanges can. And they’re very attractive to thieves. For this reason, it’s not recommended that you leave ANY of your money on the exchanges. Because you could lose it all overnight. But if you’re careful and take precautions, however, you’ll be ahead of 90% of every other Bitcoin investor out there – and you should be ok. So those are some of the things to consider before investing in Bitcoin. While Bitcoin has a lot of excellent things going for it – there’s still a lot of risks. There are still a lot of unknowns. If you do decide to buy, spend some time and research your options. Don’t buy from an unknown seller. Some of them are trustworthy and run a grand business. But there are others that will overcharge you and may not even deliver your coins. Be safe and do your research first. Find a trusted seller with a stellar reputation – there are quite a few of them out there. And remember the golden rule here – never invest more than you can afford to lose. If you do this, you’ll be in a better position to invest in Bitcoin and win!